HRI is working with Homewood Health Centre clinicians and patients to develop a rigorous approach to program evaluation to guide improved treatment and enhance outcomes. This evaluation work has started in the Addiction Medicine Service (AMS), in collaboration with AMS leaders Dr. Harry Vedelago and Wendi Woo and the patients they serve. This article highlights initial findings by describing two presentations made at the joint meeting of the Canadian Society of Addiction Medicine (CSAM) and the International Society of Addiction Medicine (ISAM), which attracted experts from more than 30 countries to Montreal from October 20 to 23. There is also a link below to a related paper HRI published in the Canadian Journal of Addiction. 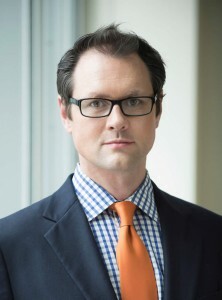 The first CSAM-ISAM paper was presented by Homewood Senior Scientist, Dr. James MacKillop, who is Boris Chair in Addictions Research, Director of the Boris Centre for Addictions Research, and Professor of Psychiatry and Behavioural Neurosciences at McMaster University. To improve our understanding of links between substance abuse and trauma among patients admitted to the Addiction Medicine Service at Homewood Health Centre, he systematically screened 540 patients. A high proportion of these patients reported traumatic life events. 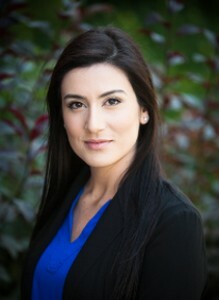 Dr. MacKillop’s ongoing research program will clarify the relationship between trauma and substance abuse, and how to use the emerging findings to improve personalized care and to guide program development based on a deeper understanding of the needs of individual patients and the population of patients served by the program. At the CSAM-ISAM meeting, HRI Senior Research Coordinator, Sarah Sousa, delivered a presentation entitled Development and Early Findings from the Homewood Post-Discharge Outcome Monitoring System in the Addiction Medicine Service. Homewood and HRI are jointly developing this ground-breaking system to understand recovery and to measure treatment outcomes. This research, done in collaboration with Dr. Brian Rush as well as Homewood clinicians and patients, will be used to inform clinical practice in the Addiction Medicine Service at Homewood Health Centre and provide a model for outcome monitoring. In her presentation, Sarah introduced Homewood’s outcome monitoring protocol, which involves a series of self-reported questionnaires administered to patients at admission to Homewood Health Centre, at discharge, and again at one month, three months, six months and 12 months post-discharge. Over the past 1.5 years, HRI has engaged approximately 700 patients in the initiative. Preliminary findings based on 167 patients who provided data at admission, and again at one month post-discharge, show that they experienced very encouraging overall improvements, both in terms of abstinence and in several life domains, such as mental health, physical health, occupational performance and quality of life. We will report more detailed outcome information in future newsletters. HRI’s Post-Discharge Monitoring System will continue to examine and deepen our understanding of the short- and long-term impacts of inpatient addiction and mental health treatment. Recently Dr. Jean Costello, HRI Research and Evaluation Scientist, and her colleagues published a peer-reviewed article in the Canadian Journal of Addiction detailing the development and implementation of HRI’s Outcome Monitoring System at Homewood. This paper appeared in a Special Issue of the journal, Co-Edited by Dr. Brian Rush, who collaborates in the development of the outcome evaluation system, and Dr. Costello. We are grateful to the Homewood Addiction Medicine Service patients and clinical staff, especially Dr. Harry Vedelago and Wendi Woo, and to Dr. Rush for their collaboration in this work. This entry was posted on November 9, 2016 by Heather Froome. Homewood Research Institute (HRI) and Homewood Health Inc. (HHI) are pleased to announce three research proposals recently approved for funding by the Canadian Institutes of Health Research (CIHR), Canada’s federal funding agency for health research. These projects further our understanding of post-traumatic stress disorder (PTSD) and addiction. Both projects in PTSD research will involve the Homewood Health Centre and are intended to guide clinical practice. The addiction study is community- based and will involve Homewood clinician, Dr. Harry Vedelago as an advisor. This funding allows HRI researchers to continue on their path to improving care through the development of new treatments and innovations. Congratulations to the scientists who prepared these successful proposals. Thank you to Homewood clinicians and staff for their input and collaboration in planning and conducting these studies. This entry was posted on August 19, 2016 by Heather Froome. 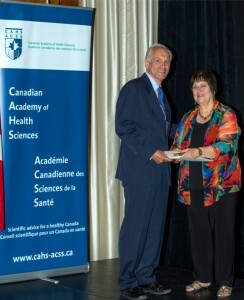 Pictured from left to right: Terry Reidel, Executive Director, The Cowan Foundation; Margaret McKinnon, Associate Co-Chair, Research, Department of Psychiatry and Behavioural Neurosciences, McMaster University, Senior Scientist, Homewood Research Institute; Heather McLachlin, President, Cowan Insurance Group; Roy Cameron, Executive Director, Homewood Research Institute; Jagoda Pike, President and CEO, Homewood Health Inc. (HHI); Rob Schlegel, CFO, RBJ Schlegel Holdings Inc. Knowledge must be applied in practice to benefit people. The Schlegel research enterprises, the Homewood Research Institute (HRI) and the Research Institute for Aging (RIA) are exploring innovative models to integrate research and practice to improve lives. The Cowan Foundation is enabling us to take this work to a new level. 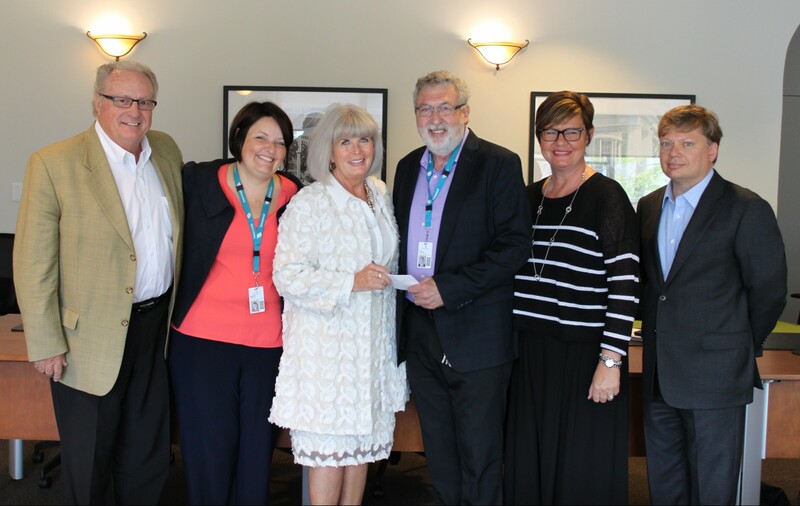 On Thursday, June 23rd the Foundation donated $100,000 to support joint efforts of HRI and RIA to provide leadership in bringing evidence and practice together in mental health, addiction and aging. Over the past several years the RIA’s Research Application Specialist, funded by The Cowan Foundation, has explored the process of knowledge mobilization and has identified key barriers, and more importantly, opportunities. Research must answer a need; engaging stakeholders in the research process helps to ensure the knowledge gained is relevant and can be of direct benefit. The findings then need to inform practice, programs, and policies where the information can translate into impact. The RIA is finalizing a framework to capture learnings to date and guide future knowledge mobilization efforts. While this framework considers the context of aging, HRI can readily adapt and apply these learnings to mental health and addiction, improving our own knowledge mobilization efforts. Key next steps will be utilizing these frameworks in upcoming projects and continuing the dialogue between both organizations about what works and what doesn’t. The recent gift from The Cowan Foundation will pave the way for HRI and RIA to more effectively mobilize and apply the latest research. Through collaboration, both organizations can make strides in closing the gap between research and practice. This entry was posted on August 18, 2016 by Heather Froome. Join us in congratulating Homewood Senior Scientist Dr. James MacKillop. Dr. MacKillop recently received the 2015 Award for Distinguished Early Career Scientific Contribution to Psychology from the American Psychological Association. This award recognizes excellent psychologists who are at early stages of their research careers (up to 10 years after receiving their doctorates). 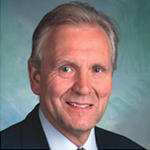 Dr. MacKillop joined McMaster University in 2014 and currently serves as the inaugural Peter Boris Chair in Addictions Research and Director of the Peter Boris Centre for Addictions Research. He also holds a position as Homewood Senior Scientist. In the short time Dr. MacKillop has been in Canada he has recruited outstanding scientists to the Boris Centre from the US, has engaged strong contributors from faculty at McMaster/St.Joseph’s, maintained and grown international collaborations with outstanding US research centres, built an addictions laboratory, secured funding from major granting agencies, mounted multifaceted studies, built a training program, engaged local clinical programs (including at Homewood), and established a tradition of publishing in collaboration with clinicians. Dr. MacKillop has laid a foundation for a research program that ranges from basic research with many dimensions (including neuroscience, genetics, behaviour, and microbiome) to real world clinical research. Findings from the lab in Hamilton can be brought to bear in improving practice within Homewood, and clinical observations from the Addiction Medicine Service at Homewood can inspire new research studies in Hamilton. A detailed description of James’ background and research appeared in the November awards issue of the American Psychologist. We congratulate Dr. MacKillop on his award. We are confident that this work will lead to important advancements in both science and addiction treatment. Homewood Senior Scientist Margaret Mckinnon was a passenger on an Air Transat Flight that ran out of fuel over the Atlantic. Aug 24, 2015 marked the 14th anniversary of this event. See stories in Psychology Today and on Global News Hour that covered the event and the research Dr. McKinnon and colleagues have done to learn from the experience of passengers. This entry was posted on September 1, 2015 by MediaDoc.